Ritual. 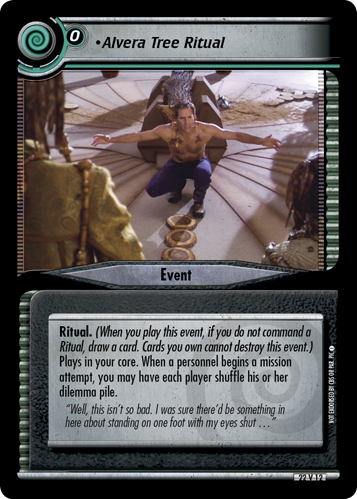 (When you play this event, if you do not command a Ritual, draw a card. Cards you own cannot destroy this event.) Plays in your core. 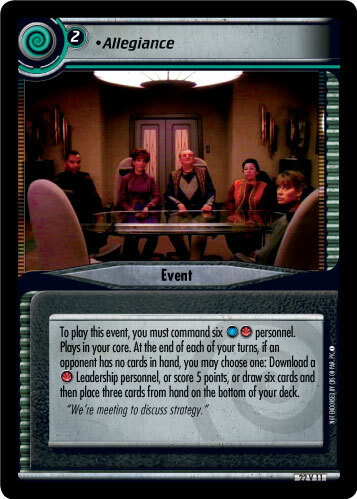 When a personnel begins a mission attempt, you may have each player shuffle his or her dilemma pile. "Well, this isn't so bad. 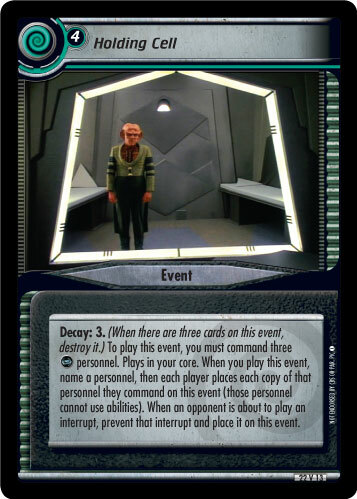 I was sure there'd be something in here about standing on one foot with my eyes shut..."
Image Source: Enterprise: "A Night In Sickbay"